Masashi Hamauzu has recently started a career as a freelance composer after gaining widespread acclaim scoring recent Final Fantasy and SaGa scores for Square Enix. Born on September 20, 1971 in Munich, Germany, he moved to Osaka following the birth of his brother a year later. While growing up, he received performance lessons from his family — his mother a Japanese piano teacher, his father a German opera singer. During his high school years, he started to enjoy listening to a wide range of music — spanning pop artists such as Yellow Magic Orchestra to animation icons such as Hiroshi Miyagawa — but initially struggled to appreciate classical music. He also developed a passion for video game music while playing RPGs and, especially impressed by Koichi Sugiyama’s work, learned to perform the piano scores of the first three Dragon Quest titles. Through a course of self-study, he also fulfilled his aspirations to compose music in subsequent years. Also a fan of painting, he felt fascinated by the connection between music and visuals. After graduating from high school, Hamauzu majored in classical vocal music at the eminent Tokyo National University of Fine Arts and Music under the influence of his father. While there, he was exposed to a wide variety of influential canonical music and, through detailed studies of Bach’s chorales, gained an understanding of harmonisation. Also an important experience socially, he enjoyed performing with a student ensemble as a pianist and met numerous interesting people on a daily basis; one of them was his future wife, the soprano Matsue Hamauzu, with whom he later had two daughters. During his studies, he developed his own personality as a composer. Continuing to be fascinated by the emotional connections people have with music, he particularly enjoyed creating impressionistic music to inspire imagery. During his sophomore year, he noticed the extraordinary emphasis Square placed on music in game productions. While he initially debated the prospect of becoming a classical musician, these experiences convinced to pursue a career with the company after graduating. Having impressed his interviewers with his resumé, Hamauzu was employed as a trainee musician to the Square’s sound team during 1995. In his first project, Hamauzu was asked to create four action tracks on the Super Nintendo’s Front Mission: Gun Hazard under the supervision of Nobuo Uematsu and Yasunori Mitsuda. His compositions were a mature complement to the game’s wartorn world with their dense harmonies and dark timbres. He subsequently explored the technological opportunities offered by the PlayStation on the fighting game Tobal No. 1; his four contributions seamlessly integrated into the experimental soundtrack with their blends of organic forces and electronic beats. In a further guest role, his services as a vocal scholar were requested on Final Fantasy VII; he was the synthesizer operator for the rendition of Haydn’s “The Creation”, played during the FMV when the Sector 7 plate falls early in the game, and sung bass in the eight person chorus of “One Winged Angel”. This concluded his modest but promising years as the trainee at Square’s music team. The PlayStation’s Chocobo’s Mysterious Dungeon marked Hamauzu’s first solo project. He was enthusiastic about composing for the Chocobo’s first spinoff, having loved the mascot’s theme since its Final Fantasy II debut when he was a teenager. He mixed a variety of arrangements of the theme with original organic compositions channelling his sense of lyricism. In a first for both himself and his company, he recorded the opening and ending themes of the score for a 50 piece orchestra. He also penned a special festive remix of the Chocobo theme for the game’s soundtrack release. Shortly after the release, he persuaded his parent company to give him the resources to produce an orchestral arranged album for the game. The resulting album, Coi Vanni Gialli, was an exuberant display of his talent. He orchestrated the majority of the music himself, emphasising the light-hearted mood of the score while channelling impressionist, flamenco, jazz, and minimalist music influences. Despite the game being a failure, Hamauzu’s well-rounded soundtrack and arranged album attracted much praise. Hamauzu was given the freedom to develop his musical identity further on 1999’s SaGa Frontier II. After spending an agonising period conforming to the expectation to emulate the conventional game music Kenji Ito had established for the series, he realized in the final months of the project that expressing his own musicality to the utmost would alleviate his worries. Many compositions blended the open atmospheric qualities of impressionism with elegant classically-phrased melodies and hypnotic tonal patterns. A large proportion of the music arranged the soundtrack’s main theme in a range of moods and styles, while various directions were taken to contrast the scenarios of the main characters. 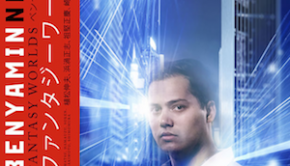 The project also introduced him to Square Enix synthesizer operator Ryo Yamazaki, with whom he developed a close and respectful working relationship. 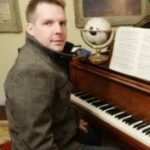 He also recorded an arranged album for the project, featuring impressionistic piano variations of defining themes from the game in solo, duet, and concertino performances. Despite focusing on a single force throughout, he persevered to expand the scope of many of the originals. In 2001, Hamauzu received more mainstream attention when he was drafted to co-compose the PlayStation 2’s Final Fantasy X towards the end of its production. He represented the diverse colours of Spira with a wide spectrum of compositions that markedly differed from those of his collaborators Nakano and Uematsu. His selections included the jazz-based meditative fusion “Besaid”, energetic techno mix “Blitz Off”, two-tiered string-led elegy “People of the Far North”, dazzling cinematic underscore “Attack”, and Stravinsky-esque piano concertino “Decisive Battle”. While he felt a strong affinity for the game — one of the few he actually enjoyed playing — he treated it principally as a medium for musical expression and experimentation. Having impressed many with his contributions, he was subsequently challenged with producing the game’s lauded piano collections. He carefully considered the groundwork of the original compositions in order to transform them into fully-fledged solo piano arrangements. He felt relieved that pianist Aki Kuroda understood the intentions of each of his diverse interpretations. In a further role, he created a downtempo electronic remix of the “Song of Prayer” for the game’s tribute album. A year after Final Fantasy X, Hamauzu produced another exploratory soundtrack for Unlimited SaGa. Always pushing technological barriers, he produced Square Enix’s first completely streamed score for a game. 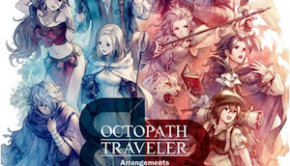 The first disc of its soundtrack featured a variety of acoustic compositions, including vibrant battle themes, emotional character themes, and full orchestrations by fellow Tokyo graduate Shiro Hamaguchi. After managing to convince directors, he took novel directions for a role-playing game throughout the second disc with a selection of hard electronic experiments. The score was united by a delightful main theme and concluded with a classically-oriented vocal theme, “Soaring Wings”. Hamauzu worked even more closely with synthesizer operator Ryo Yamazaki throughout the production to ensure every piece was professionally produced and implemented. Following the departure of Nobuo Uematsu, Hamauzu was appointed the lead composer of Square Enix’s music team in October 2004. While he had few management responsibilities, he provided creative inspiration for many of his colleagues. He also suggested the concept of the sound team’s official website and even composed its background music. In 2005, Hamauzu served as the music producer for the sequel Musashi: Samurai Legend. He complemented the mystical setting of the title with warm electronic soundscapes. He further enticed listeners with brief dashes of orchestration, small ensemble compositions, and more exotic fusions. He also ensured the contributions of his collaborators, Junya Nakano and Wavelink Zeal, complemented Takashi Tokita’s vision of the game. The following year, he composed the award-winning soundtrack for the controversial first-person shooter Dirge of Cerberus: Final Fantasy VII. In stark contrast to his soft electronic sounds on Musashi: Samurai Legend, Nakano produced a dark orchestral score to represent the industrial location and moody protagonist. He brought drama to recurring motifs such as the powerful Fliker and the melancholic Lucrecia with performances by the Tokyo Philharmonic Orchestra. With the assistance of manipulator Yamazaki, he also produced vibrant guitar-driven fight tunes, moody ambient scene-setters, quirky light-hearted interludes, and fusions with rock, electronica, and jazz. Hamauzu considered the final score his most artistically inspired and lavishly produced up to that point. Between such rich score productions, Hamauzu worked on several album projects. At the request of Yasunori Mitsuda, he arranged the music of Sailing to the World for a sheet music book and accompanying recording. He carefully retained the character and melodies of the original music while elegantly transitioning them on to piano. In contrast to his often virtuosic scores for Final Fantasy X, he ensured that the scores were accessible to most players. At the suggestion of Square Enix’s label producers, he subsequently produced his solo album Vielen Dank after careful consideration. Hamauzu returned to Germany to record the album, blending small ensemble renditions of his defining game compositions with original miniatures for solo piano. Despite the outward modesty of the production, Hamauzu put all into the album — his musicality, roots, emotions, gratitude to fans, and appreciation of the world — to create what he considers his defining work. Shortly after its release, Hamauzu attended well-reviewed performances of two pieces from the album at the Fifth Symphonic Game Music Concert in Leipzig. To his surprise, Hamauzu was selected as the composer of Final Fantasy XIII in 2006 and immediately started work on the game’s hybridised main theme for its announcement trailer. 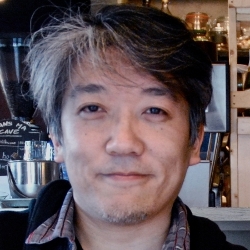 He nevertheless managed to produce short scores for two other projects during the game’s long development — creating nine characteristically styled pieces for piano and violin on the browser title Oolong Tea Story and an ethereal electro-orchestral score for the DS’ Sigma Harmonics with Mitsuto Suzuki. When he returned to complete Final Fantasy XIII during 2008, he focused on complementing Motomu Toriyama’s vision for the game with a new flavour of electro-orchestral music; adding to the character of the game’s worlds, he contrasted Cocoon’s cinematic orchestra pieces with Pulse’s untamed timbral fusions. He explored several motifs throughout the score, to convey recurring ideas and characters, and added to the mainstream allure with numerous vocal performances. 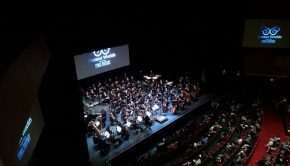 In association with a large team of arrangers, sound designers, and performers, including two orchestras, he also ensured Final Fantasy XIII transcended other scores in production values. The soundtrack received universal acclaim across the gaming community. To the echoes of these rave reviews, Hamauzu decided to leave Square Enix to form his personal studio Monomusik at the start of 2010, desiring the freedom to pursue new projects, including those outside gaming. Inspired by the strong sales of Final Fantasy XIII’s, he nevertheless continued to work with his former employer on a series of spinoff albums: a prototype music collection, two vinyl records, three drama productions, and, of course, a piano collection. On the latter, Hamauzu intimately explored the game’s melodic material and reunited with Aki Kuroda at recording sessions in Milan. He also attended concert performances of the album in Osaka and Yokohoma and, in a further collaboration with the pianist, recorded a new piece for the reprint of Piano Pieces “SF2”. In response to his newfound popular success, Hamauzu has attended Distant Worlds performances across the world in recent months; a particularly special performance was Distant Worlds Returning Home in Tokyo, featuring new orchestrations of his Final Fantasy XIII score. He has also discussed the score for Final Fantasy XIII, among other activities, in a succession of new interviews and talk events. Despite retaining close ties with Square Enix, Hamauzu has expanded the scope of his productions with numerous external works in the last year. Having a long-standing fascinating with Ainu culture, he has been involved in the group Ainu Rebels for several years as a song producer and live consultant. In a further project to preserve traditional culture, he formed the group IMERUAT with vocalist Mina and gradually developed their distinctive sound. Following several live appearances and a well-received single, IMERUAT released their debut album Black Ocean in 2012 — combining progressive electro-acoustic instrumentals with rich haunting vocals. The group have already inspired international attention through their gigs in cities spanning Krakow, Paris, Chicago, and Tokyo. Among their most memorable gigs were the Fantasy Rock Fes 2012 in Kawasaki and a special concert dedicated to Hamauzu in Le Locle. Masashi Hamauzu has also recently made his debut on a classical label, penning the harmonically lush “Sangui” suite for pianist Benjamin Nuss’ studio album Exotica, and penned music to photographs with a series of intimate piano and strings pieces for Sony’s “α” Clock project. In a further first, Hamauzu recently scored his first anime title, Binbogami Ga! Writing numerous brief cues to underscore on-screen events, Hamauzu combined his characteristic musicality with a suitably light-hearted mood. Back in the realm of game music, Hamauzu has arranged music for a series of orchestral game concerts produced by Thomas Böcker: an aquatic piano fantasy on a theme of Donkey Kong Country for Cologne’s Symphonic Legends; shimmering orchestrations of Kirby and Pikmin for Stockholm’s LEGENDS; and an extended tribute to his own Final Fantasy X for Wuppertal’s Final Symphony. Other game companies have also sought guest contributions from Hamauzu, including the original scores for Half-Minute Hero 2 and Music GunGun! 2, as well as the arranged albums for Castlevania and Etrian Odyssey IV. Following the success of the original’s score, Hamauzu was also asked to return to score Final Fantasy XIII-2 and the upcoming Lightning Returns: Final Fantasy XIII. Though unable to produce their full scores, he preserved the distinctive sounds of Gran Pulse while introducing new ideas on both titles.